So this past Sunday I was unexpectedly given the day off of work. The plant retail business normally keeps me pretty booked up on weekends, so when I have a weekend off, I try to use it to my fullest advantage. So on Sunday morning, my mom and I hopped in the car and headed up north to Coventry to pay our first visit of the year to the Coventry Farmer’s Market. 1. It’s huge! When I say huge, I mean huge! Every Sunday, 30+ different vendors show up ready to sell you their wares. 2. Fantastic variety. Not only does this market have the standard fresh produce and token artsy vendor but they also have a beef guy, a seafood guy, numerous prepared food vendors, cow cheese, goat cheese, a dessert vendor, a honey guy, maple syrup guy, the list goes on and on. They generally also have a nice selection of handmade artistic goods including a pottery vendor, some local handmade jewelry, etc. 3. Location, location, location. 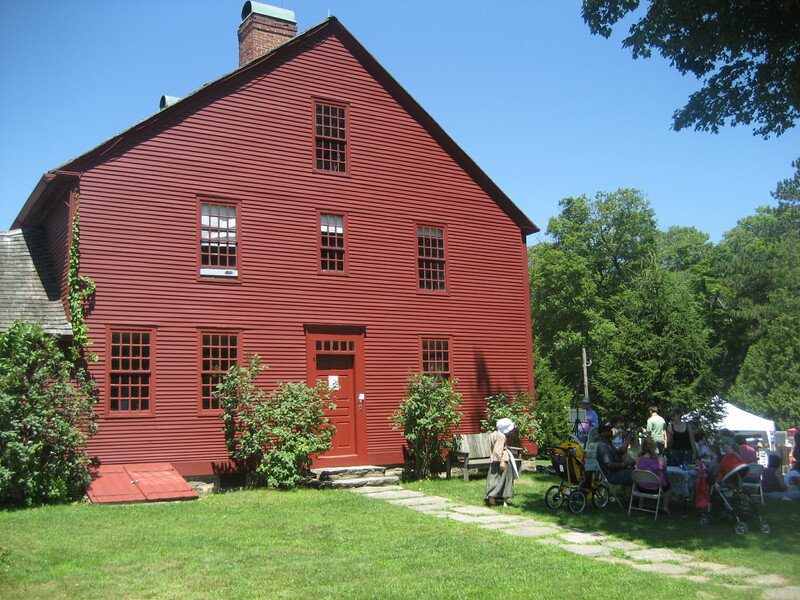 While driving up to Coventry from Old Lyme is a bit of a hike, the Nathan Hale homestead in Coventry is a picturesque backdrop for you to buy some locally grown produce. Not only is the farmer’s market taking happening at this time but workers are also running the Nathan Hale Museum gift shop and I believe they also give tours of the house. 4. Themes. Every Sunday there is a different “theme” or as they refer to them “Events“. This past Sunday was “Graze Fest: Celebrating our grass-fed, pasture-raised animals”. They made it a two-day event, with 3 different Connecticut farms giving free tours of their operations on Saturday. On Sunday at the market, they continued the theme with a guest appearance by The Farmer’s Cow, which “is a cooperative of six family owned, Connecticut dairy farms working together to protect farmland, preserve our agricultural heritage for future generations, and reinvent the way local farms can market milk, half & half, ice cream, eggs, and cider.” I happen to love The Farmer’s Cow and their products, including their strawberry lemonade that I had on Sunday. They also had miniature donkeys from Foster Hill Farm, mini-Argentine llamas from TuckerWoods Farm and draft horses and wagon rides. 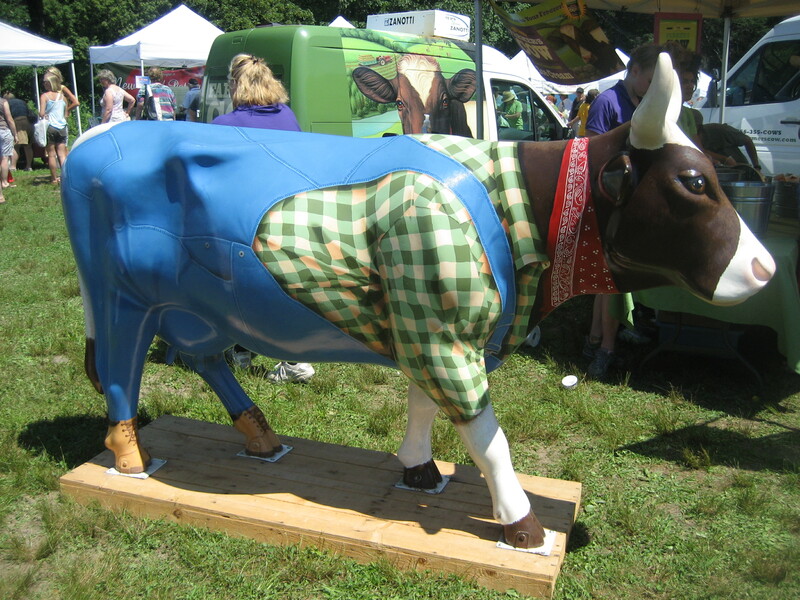 The Farmer’s Cow, cow mascot. So if I haven’t convinced you yet, make sure to check out the Coventry Farmer’s Market if you have a free Sunday. An added bonus is that the entire event is completely dog friendly, just as long as you clean up after any messes your dog might make. I always manage to see a cute dog I want to bring home with me and this past weekend was no exception! In fact the market loves their pups so much, they usually devote an entire market to them! If you want to have a fun time with your pup, make sure to attend on August 7th for their Dog Days event. Last year they had agility demonstrations and just about every vendor had something special for your best friend. Beautiful cut flowers from Windham Gardens. 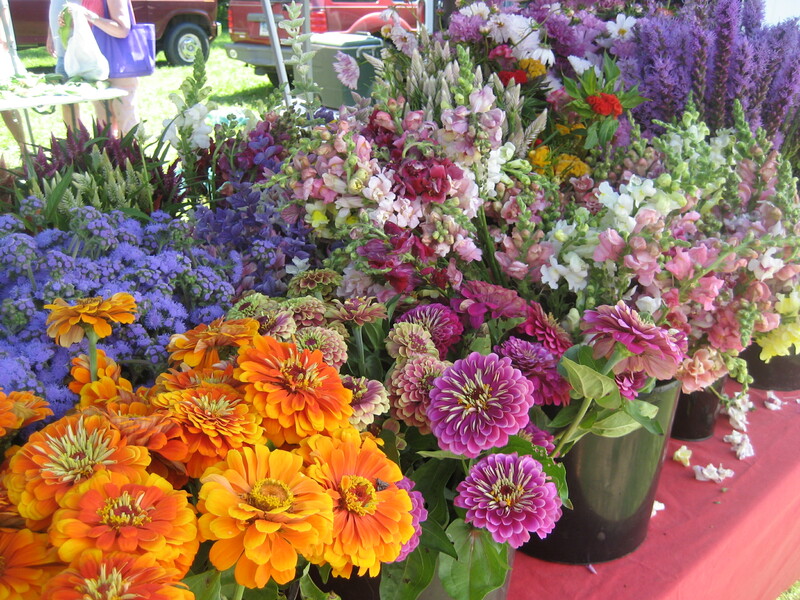 Coventry Farmer’s Market: Every Sunday from 11am to 2pm, June through October. Make sure to check it out! P.S After the farmer’s market, Mom and I headed over to Danielson to visit Logee’s greenhouses. Stay tuned to hear about me buying too many plants! Previous Post It’s the most wonderful time of the year! White Elephant Sale time!